Grit Guard is great way to further minimize the possibility of adding fine swirls and scratches to the clear coat while washing. The majority of swirls and fine scratches come from the washing so it's very important to minimize risks whenever possible. When you wash your vehicle it's very important that the contaminates in your mitt are released when you put your mitt in the rinsing bucket. Place the Grit Guard in the bottom of your bucket and wipe your mitt on it to help release contaminates lodged. 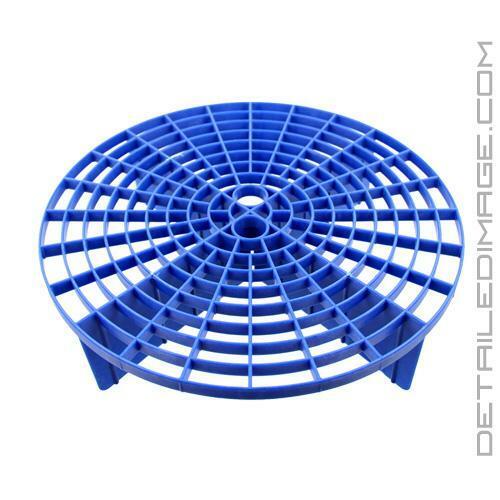 This helps keep the mitt or sponge clean and safe while washing. By getting rid of these contaminates you are much less likely to have abrasive contaminates lodged in your mitt that could potentially add fine scratches to the clear coat. The Grit Guard is roughly 10.5" in diameter and designed to work with virtually all buckets between 2.5 - 7 gallons. Wash more effectively and safer with the Grit Guard! The simple invention of the Grit Guard Insert has completely changed the way that we all wash automobiles. Before the grit guard was invented it was hard to keep the dirt from the automobile out of the wash medium you were using. 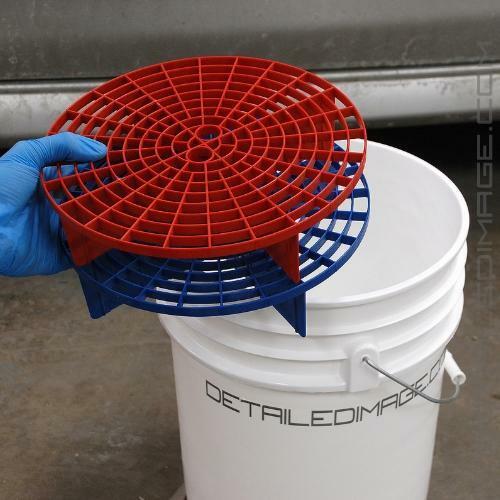 Using these for a two bucket wash. Fits the buckets and stands off the bottom of the buckets. Seen some that are just a screen. Does as described and works good. First time using a grit guard.